Writer/director James Gunn (Guardians of the Galaxy, Slither) and director Greg McLean’s (creator of the Wolf Creek franchise) much-buzzed (and rightfully so, read our review here) thriller The Belko Experiment is a terrifying, provocative and at times hilarious thrill-ride that literally provokes the question; what does it take to survive at work? The film is due to theaters on March 17th from Blumhouse Tilt and Orion Pictures. 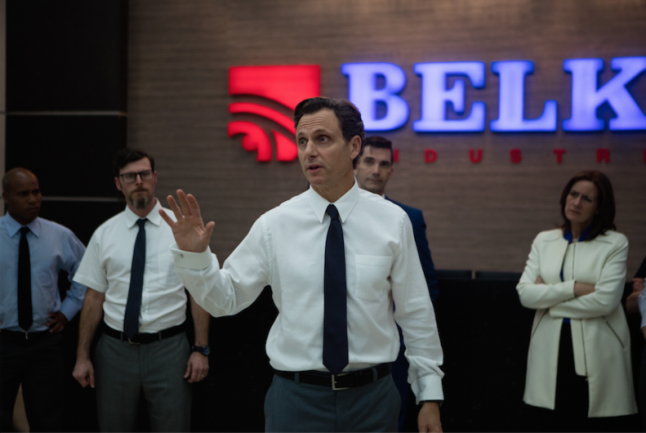 In a twisted social experiment, a group of 80 Americans are locked in their high-rise corporate office in Bogata, Colombia and ordered by an unknown voice coming from the company’s intercom system to participate in a deadly game of kill or be killed. 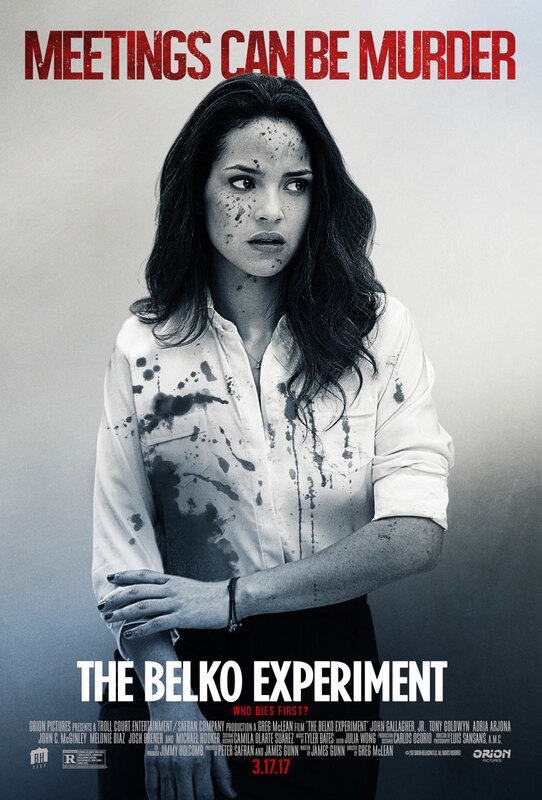 The Belko Experiment stars John Gallagher Jr. (The Newsroom, 10 Cloverfield Lane), Tony Goldwyn (Scandal), John C. McGinley (Stan Against Evil, Scrubs), Adria Arjona (True Detective), Josh Brener (Silicon Valley) and Michael Rooker (Guardians of the Galaxy). The film is executive produced by James Gunn and Peter Safran (The Conjuring 1 & 2, Annabelle).